Sealed Power DUROSHIELD Competition Series Coated Bearings provide protection against dry starts. Pit Stop USA is The Online High Performance Superstore! We feature BB Ford/FE Oil Pumps and more at low everyday prices. Pit Stop USA is The Online High Performance Superstore! 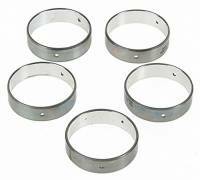 We feature Auxiliary Shaft Bearings - Ford , Mazda, Merkur at low everyday prices. Pit Stop USA is The Online High Performance Superstore! We feature Engine Gasket Sets - AMC at low everyday prices. PitStopUSA.com offers a variety of Big Block Mopar Engine Gasket Sets from the biggest brands in drag racing including Cometic Big Block Mopar Engine Gasket Sets, Fel-Pro Big Block Mopar Engine Gasket Sets and more at low everyday prices. Pit Stop USA is The Online High Performance Superstore! 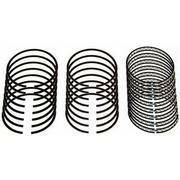 We feature Engine Gasket Sets - Buick at low everyday prices. Pit Stop USA is The Online High Performance Superstore! 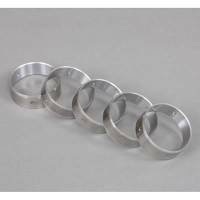 We feature Engine Gasket Sets - Chevy Inline 6 at low everyday prices. Pit Stop USA is The Online High Performance Superstore! 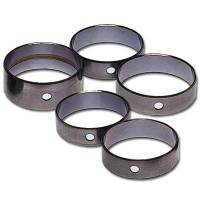 We feature Engine Gasket Sets - Chevy V6 at low everyday prices. Pit Stop USA is The Online Motorsports Superstore! Federal-Mogul's Sealed Power® product line represents a complete system of application-engineered internal components, including pistons, piston rings, engine bearings, camshafts, oil pumps, timing components and valvetrain products. The Federal-Mogul Sealed Power® brand of engine bearings offers advanced technologies that ensure performance and durability within virtually any automotive or light-duty truck engine. The Sealed Power brand combines advanced materials and patented designs to meet the demands of specific applications for rebuilt engines. Sealed Power bearings have application-specific lining materials and are precision fit for endurance. Sealed Power® A-Series bearings are the latest in bearing technology from Federal-Mogul, the world leader in engine bearings. 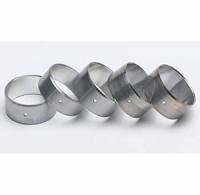 These revolutionary bearings, manufactured using aluminum tin alloy with silicon, are the choice of most OEs. Sealed Power® DUROSHIELD® Competition Series Coated Bearings provide protection against dry starts and conditions that interrupt oil supply. Sealed Power H-14 Super Duty Alloy has the greatest load-carrying capacity. Sealed Power H-24 Alloy is notable for its desirable fatigue resistance and strength. Sealed Power B100 babbitt material is used in ultra-high-performance rod and main bearings for blown-fuel and alcohol engines that require high “embeddability” and conformability. We feature Sealed Power® DUROSHIELD® Competition Series Coated Bearings at low everyday prices.